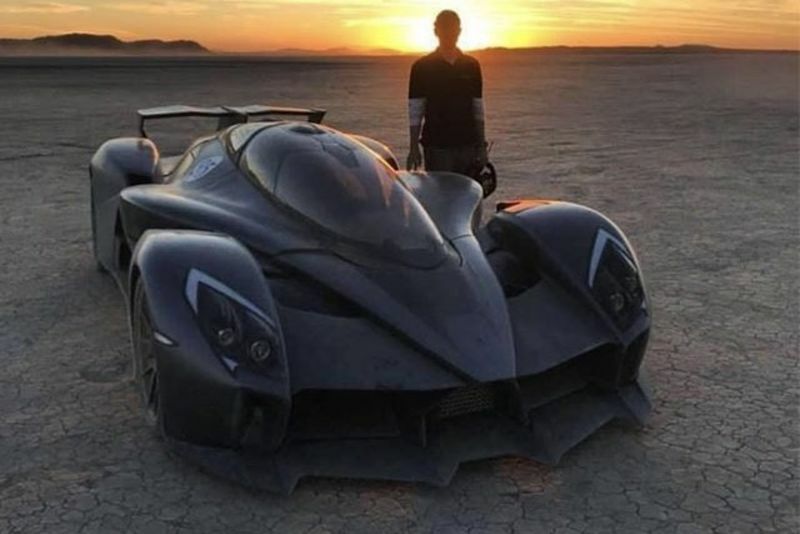 A start–up company in California called RAESR (Rice Advanced Systems and Research) has recently launched a new vehicle called "Tachyon" which is an electric hypercar. It's named after a particle that travels faster than the speed of light. The name definitely suits this car because it can go from 0 to 60 mph in under 3 seconds and can reach speeds of over 240 mph. This top speed beats the records set by other electric cars such as Lucid Motors' Air and Genovations' Corvette. The car runs on six electric motors and has 1250 bhp with 4949 Nm of torque. The car can travel up to 150 miles in stop–start city conditions before needing to be charged. It's also extremely light, weighing in at 2950 lbs, while the body is made from carbon fiber fitted with 3D parts made of polycarbonate and nylon. The inside of the car is designed to be similar to a fighter jet in that the seats are set up in tandem, placed in the middle of the car to give it better aerodynamics. The positioning of the seats also reduced the width of the front of the car. The vehicle is so unique that it has already been featured on E.ON's advert. Although it has not been priced, nor has it been released for sale yet, the company has said that they are reserving only a limited amount of models for potential buyers.